Lewis Reid came on the 10 week gap program in 2015 aged 18 having just left school like many other people. From the start he showed a good deal of talent and determination and with the mentoring of the ICE team comfortably passed his Level 1 and 2 that season. His enthusiasm for the sport was sparked that year and it became a logical step to return in 2016 for the Level 3 Seasonal program which also proved successful. 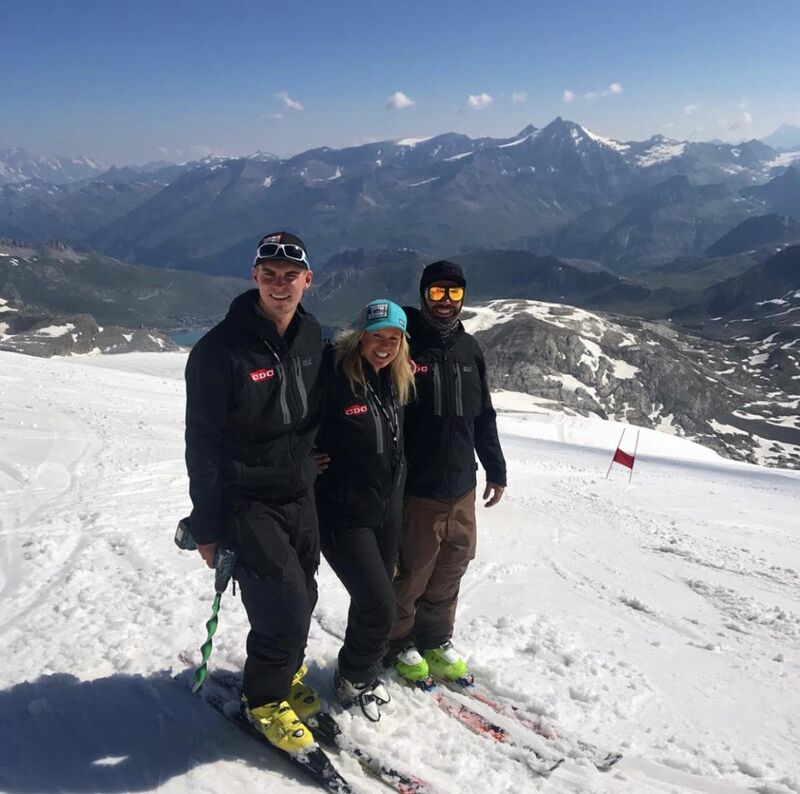 A year out teaching in Canada as a Level 3 in 2017 logging the hours and training was followed by his return on the Level 4 course in 2018, during which he completed all the necessary modules as part of the ICE program and the exams at the end of the season in Hintertux. We are delighted that Lewis has now completed the whole system and he now works with Chemmy Alcott and Dougie Crawford at CDC race training. Lewis is an inspiration and a fine example of what can be done with hard work and the correct pathway and huge congratulations go out to him for reaching this milestone.